Unfurling new growth on native tree fern. Koru. Silver Tree Fern - Ponga (Cyathea dealbata). 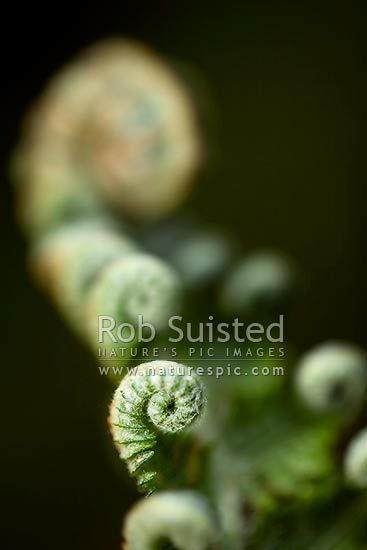 Close up, New Zealand (NZ), stock photo.